Adidas offering Get flat 60% off on Adidas. Get flat 60% off on Adidas Valid till 30/04/2019 00:00:00. Adidas offering Upto 50% off + get 10% extra off on Adidas. Timings will be 12pm – 7pm Valid till 30/04/2019 00:00:00. Adidas offering Upto 50% off on Adidas. Upto 50% off on Adidas Valid till 30/04/2019 00:00:00. Adidas offering Enjoy Flat 40% off on Adidas. Enjoy Flat 40% off on Adidas Valid till 30/04/2019 00:00:00. Adidas offering Get Flat 50% off on Adidas. Get Flat 50% off on Adidas Valid till 30/04/2019 00:00:00. Reebok CPS offering Upto 60% off on Reebok. Upto 60% off on Reebok Valid till 30/04/2019 00:00:00. Bata.in offering 30% off.No Min purchase. 30% off.No Min purchase Valid till 31/12/2019 00:00:00. Bata.in offering 30% off on Min. Purchase Value 1299. 30% off on Min. Purchase Value 1299 Valid till 31/12/2019 00:00:00. Bata.in offering 30% off on Min. Purchase Value 999. 30% off on Min. Purchase Value 999 Valid till 31/12/2019 00:00:00. Bata.in offering Rs 500 off on Min. Purchase Value 2499. Rs 500 off on Min. Purchase Value 2499 Valid till 31/12/2019 00:00:00. Bata.in offering 20% off on Min. Purchase Value 999. 20% off on Min. Purchase Value 999 Valid till 31/12/2019 00:00:00. 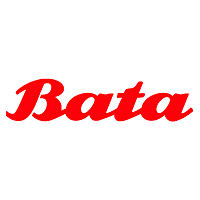 Bata.in offering Rs 500 off on Min. Purchase Value 1699. 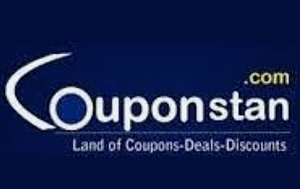 Rs 500 off on Min. Purchase Value 1699 Valid till 31/12/2019 00:00:00. Bata.in offering 20% off on Min. Purchase Value 499. 20% off on Min. Purchase Value 499 Valid till 31/12/2019 00:00:00. We are offering Latest Footwear Coupons, Discount Codes, Promo codes, Deals & Footwear Offers, Use Footwear Coupon Codes from all online available stores to Save Money on online shopping. Apply Coupon codes to get discounts on Footwear, Sports Shoes, Casual Shoes, Formal Shoes, Sandals & Floaters, Flip- Flops, Loafers, Boots, Running Shoes, Sneakers.